IPL 2019: Can SRH stop CSK's momentum? 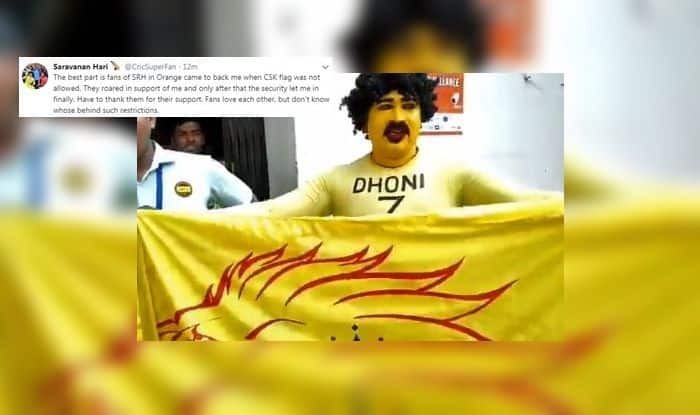 Soon he tweeted again to confirm that he was finally allowed to enter the venue with CSK flag. “The best part is fans of SRH in Orange came to back me when CSK flag was not allowed. They roared in support of me and only after that the security let me in finally. Have to thank them for their support. Fans love each other, but don’t know whose behind such restrictions,” his post read. SRH will host table-toppers CSK in what promises to be a humdinger.